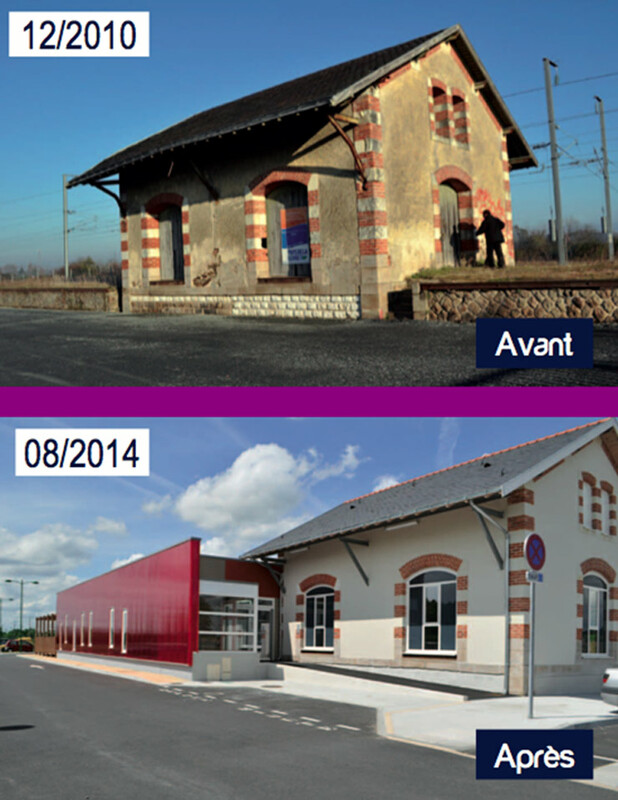 Our work to find new uses for disused station buildings was discussed at a national workshop held in France last week. The “Station facilities on regional lines” workshop was hosted by Cerema (The centre for the study of risks, environment, mobility and planning). It was attended by representatives from France’s regions, cities and rail sector. As part of the Citizens’ Rail project, the region has carried out an in depth study of seven station buildings (see map below). The work has included a technical assessment of each building, community engagement with local residents, businesses and organisations to brainstorm new uses for the buildings, and finally a detailed analysis of likely costs, timescales and benefits of implementation of the schemes. The region is now hoping to take forward two of the projects in 2015, while supporting the others to proceed the following year. Crucially, the results and lessons learned will also be shared with stakeholders including SNCF and RFF (France’s rail infrastructure operator), and internationally through the Citizens’ Rail project and its practitioner toolkit (to be launched in summer/autumn 2015). The Cerema workshop will be followed by three more in 2015, and will include the creation of a “good practice guide”, to help mayors and regions to develop their own projects at stations.